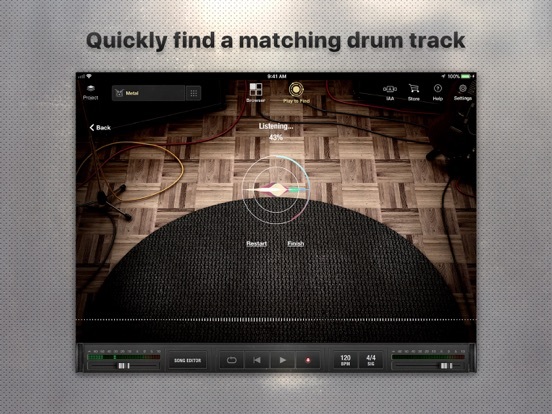 X Drummer is the ultimate drum production tool for guitarists, songwriters and mobile musicians. Start your musical journey by playing a simple riff on your guitar - X Drummer listens in real-time, searching for a matching drum performance based on the tempo and feel of your riff. The extensive groove library offers detailed realism, encompassing the subtle nuances of a real drummer and delivering realistic drum performances - not just generic backing tracks. Record your musical ideas into X Drummer and take them along with you, whether you’re at home, on the road or in the studio. Then utilize the simple-yet-robust drum editor to fine-tune your drum grooves and further personalize your song. - Completely redesigned user interface for better workflow – new Song Editor, transport controls, Browser, Play to Find, and more. 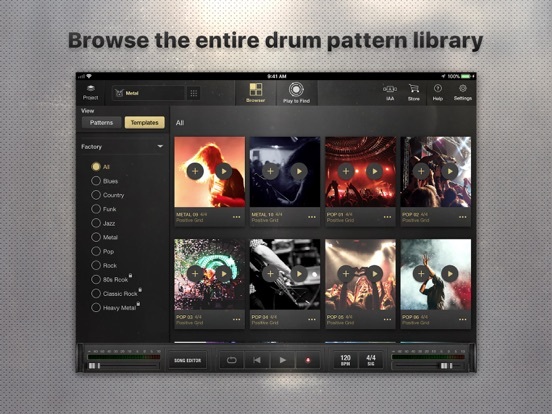 - The groove library has been expanded to 380+ realistic drum performances. 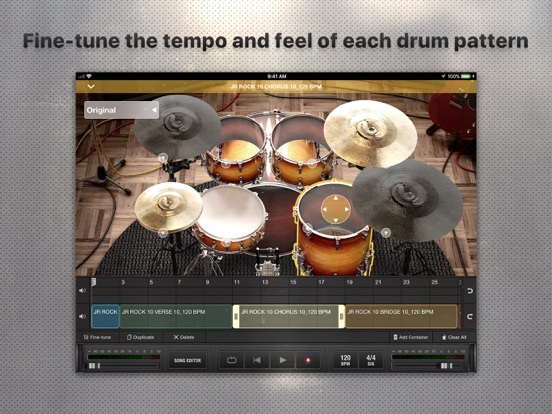 - New drum kit preset management lets users quickly save and recall custom drum kits. - Improved Play to Find engine for more accurate and faster analysis. - New filter options allow quicker navigation within the MIDI groove library. 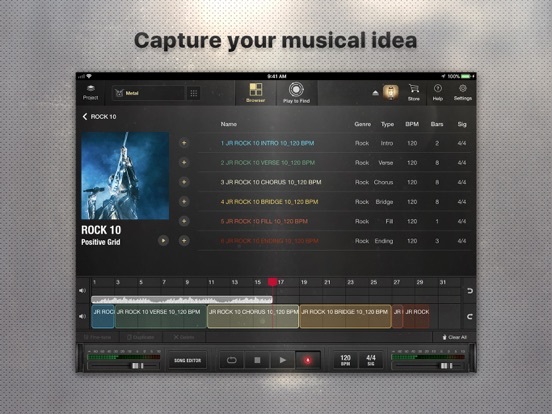 - Recorder feature allows users to overdub guitar riffs on top of the backing drum track. 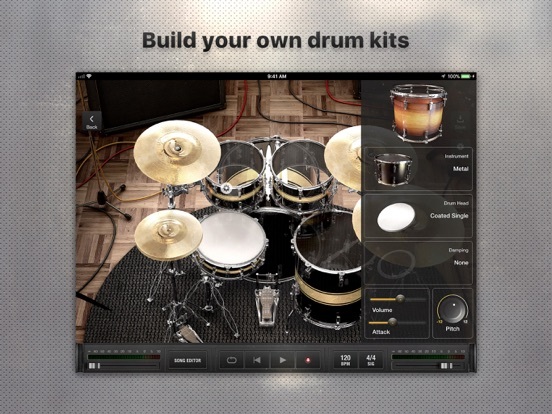 - 5 new drum kits (80s Rock, Modern FX, Jazz, Progressive Metal and Indie Rock) available as in-app purchases. - 3 MIDI groove packs (80s Pop, Classic Rock and Heavy Metal) available via in-app purchase. - Inter-App Audio and Audiobus support (full integration with BIAS FX, BIAS Amp, BIAS Pedal, and JamUp). - Export audio and drum tracks via Email or Dropbox.